Everything hangs on your bones — literally — so it makes sense to take care of them if you want to stay active into your golden years. One of the growing risks the human body faces as you age is increasing frailty, which makes you more susceptible to broken bones. 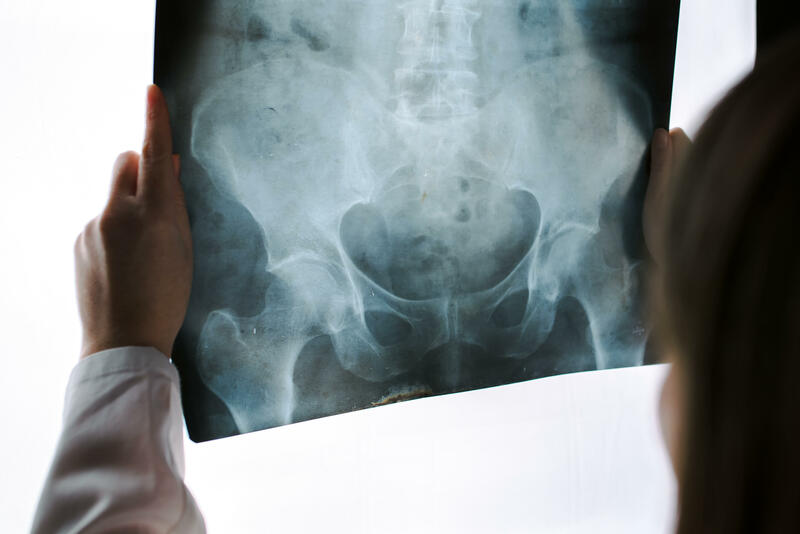 In fact, more than 300,000 Americans aged 65 and older are hospitalized each year for hip fractures, according to the U.S. Centers for Disease Control and Prevention, and more than half of them never fully recover. Osteoporosis — a condition in which bones become more porous, weak and brittle — puts older adults at higher risk for fractures. More than 53 million people in the U.S. have been diagnosed with osteoporosis or are at high risk of developing the disease, the National Institutes of Health (NIH) reports. Many people don't even know they have it until the damage is done and they suffer a break. But regardless of age or fitness level, there are things you can do to reduce the risk. "Bones are constantly breaking down and rebuilding," said Dr. Joshua Grahlman, founder of Clutch Physical Therapy in New York. "As you age, you're less resilient. Basically, you need to keep stresses on your bones and keep moving so that you don't become more frail." If you have not yet begun taking steps toward strengthening your bones, now is the time to start. Doctors say physical activity helps build bone tissue as well as muscle. "Move it or lose it," said Grahlman. "You just have to be active. It doesn't have to be that long, so there's really no excuse to not move. Something is always beneficial." A combination of exercise activities can increase the benefits. Strength training makes your muscles physically stronger; resistance exercises may promote bone development and protect against injury; and cardio workouts (even a brisk walk) will boost heart health. To help avoid premature bone loss, trainers also suggest incorporating intervals — short bursts of speed — into your workout. "A little bit every day goes a long way," Grahlman added. "Everything in moderation. It's not good to run every day of the week and have that repetitive stress on your bones all the time. It's not ideal to strength train every day." For optimal results, aim for at least 30 minutes of physical activity each day. Grahlman says it's important to get "your heart rate up" and "your blood moving." What you eat is an essential component of maintaining bone health as you age. Experts recommend a diet that includes plenty of fruits, low-fat dairy products and vegetables. Calcium is an essential mineral that supports the human body to build bones and keep them healthy. Incorporate calcium-rich foods like milk, yogurt, cheese, spinach, kale, broccoli, sweet potatoes, green beans, and almonds into your diet. Some orange juices come fortified with calcium, too. "Anything high in calcium is good," Grahlman said. "It's really more important to get it from a balanced source than it is to just have a lot of it." If you don't consume enough calcium on a daily basis, consult a doctor about whether you should add a supplement into your routine. But be sure to put down the salt shaker while preparing meals. The National Osteoporosis Foundation recommends a low-sodium diet because salt leaches calcium from the body. Bones also need Vitamin D, which we get naturally from sunlight and from foods like fatty fish, egg yolks, liver, and in fortified milk and dairy products. It helps the body absorb calcium and build bone and muscle. "Obviously you want Vitamin D, and sunlight is the number one source of that," Grahlman said. "So getting outside and being active is going to help your bone health from that perspective as well." Lifestyle habits and the choices you make in social settings can also affect your bone density over time. Doctors say smoking can take a toll on your bones, so it's important to quit — or better yet, never start. According to the NIH, research has shown smoking is a risk factor for developing osteoporosis and bone fractures later in life. A number of studies also suggest that smoking has a negative impact on bone healing after a fracture. Heavy alcohol use, particularly when it begins in adolescent years, can also increase the risk of brittle bones and osteoporosis. According to the National Institute on Alcohol Abuse and Alcoholism (NIAAA), about 17 million U.S. adults have an alcohol use disorder. The NIH calls excessive alcohol use a "significant risk factor" for bone fractures — "including the most serious kind, hip fracture." And believe it or not, lack of sleep and too much stress may affect your bone density. A study published in May looked at sleep quality and bedtimes for 915 men and women aged 45-65, and found that those who reported poorer sleep or went to bed later were more likely to have lower bone density. Stress and depression may also elevate cortisol levels, which has been associated with bone loss. There are also some risk factors you can't control. Women are more likely to get osteoporosis than men, with white and Asian women being especially susceptible. Thinner women and those with a family history of osteoporosis also face a higher risk. Certain medications, hormone deficiencies and other medical conditions can also affect bone health. Be sure to talk to your doctor about these concerns.